Broadcast infrastructure company Arqiva has confirmed the work required to facilitate changes to Freeview frequencies is on time. Freeview services across the country are being moved to new frequencies to enable new 5G services to launch in the vacated 700MHz band from 2020. As part of the changes, viewers are being asked to retune their Freeview devices on a region-by-region basis as the frequency clearance is rolled-out. Already, Freeview services in parts of England and Scotland have changed. In some cases, viewers are having to get a new aerial installed to continue receiving all available services in their area on the new frequencies. The same is happening at Freeview transmitter sites, where Arqiva are working at replacing or modifying antenna across so they can broadcast signals on the new frequencies, and still cover the same geographic areas. In a update posted by Jason Harvey, Programme Director, 700MHz Clearance at Arqiva, it's been confirmed that the changes are on schedule, and that the company expects the necessary work at its main stations to be complete by the end of next year. Originally, the expected completion date was in 2021, before being brought forward to 2020 and now revised to the end of 2019. This is despite the complex nature of the job, involving working on 300 metre high towers and challenging weather conditions, which have included the "beast from the east" in March and the heatwave in June and July. 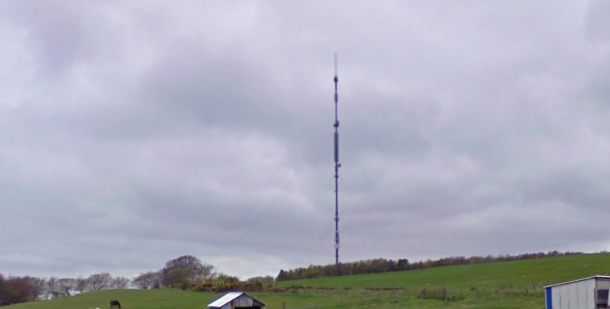 One of the most prominent and complex changes is currently taking place in West Yorkshire, where the region's main transmitter tower at Emley Moor is undergoing a major antenna replacement job. To ensure that viewers don't lose access to Freeview, a second, temporary mast has been built alongside the 1960s tower from where TV signals will be transmitted while the main tower is out of action. Once work has been completed at the main stations, viewers will be communicated details of a retune date, when the signals will be switched to new frequencies. Former Freeview frequencies in the 700MHz band will then be reassigned to mobile network operators.